If you are of the geeky kind, you probably know that if you open the Settings>About Phone menu on a recent Android device and tap the Android version continuously, an easter egg would come up. 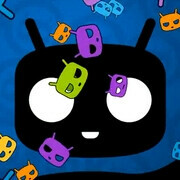 There has been one hidden in Jelly Bean, Ice Cream Sandwich, Honeycomb, and even Gingerbread. Apparently, this has inspired the CyanogenMod team to add an easter egg to its custom Android ROM as well. You can trigger the easter egg by going to the Settings>About Phone page on a device running CyanogenMod 10 and tap on the CyanogenMod version until a swarm of CyanogenMod mascots appear floating in mid air. Obviously, this trick has been inspired by the Jelly Bean easter egg, but it is a neat little addition that differentiates the aftermarket ROM even further. As a side note, a cool easter egg was recently discovered in Google Now, and Google Chrome for Android was found to contain one as well. Can you think of any other smartphone-related easter eggs? Let us know in the comments.